Article about Afrikanet in the Oxford Times Mag! Check out the article on page 23 in the “in-business” magazine in the Oxford Times newspaper (September 2012 edition). 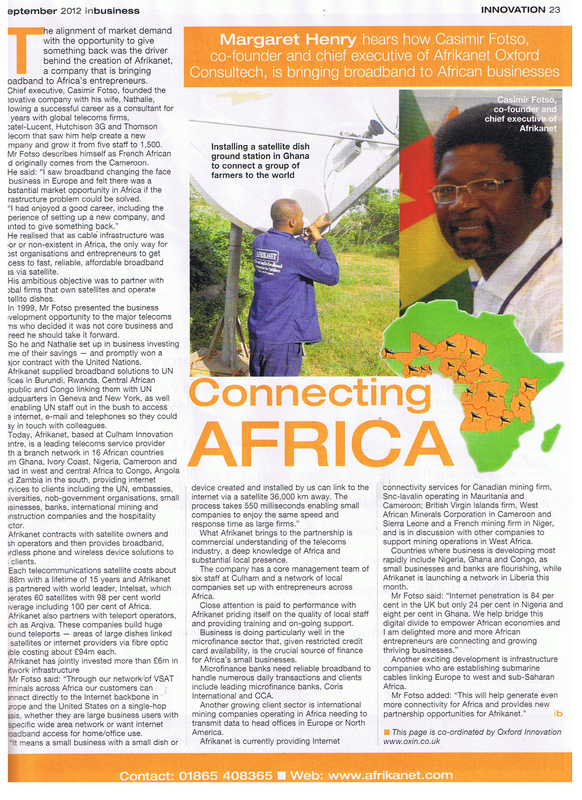 A whole article has been dedicated to Afrikanet where Mr. Fotso, co-founder of Afrikanet, explains his ambitions for setting up the business and the great services the company provides throughout Africa.